The Ford-employees African-Ancestry Network at Ford Motor Company will celebrate Black History Month with Dr. Henry Louis Gates Jr.
DEARBORN, Mich., Feb. 10, 2014 — Dr. Henry Louis Gates Jr. will join Ford Motor Company’s African American employee resource group, Ford-employees African-Ancestry Network, in celebrating Black History Month on Friday, Feb. 21. 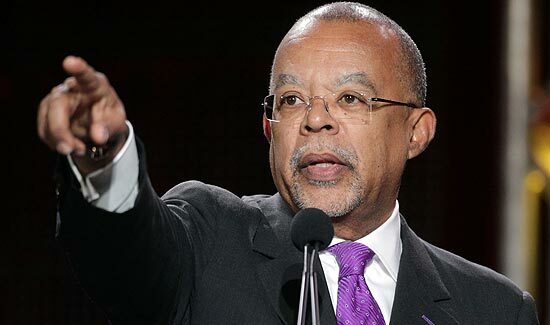 The theme this year, “Finding Your Roots,” is inspired by Gates, this year’s keynote speaker, who is host of the PBS series “Finding Your Roots.” He is also the Alphonse Fletcher University Professor at Harvard University. Established in 1983, FAAN is Ford’s first employee resource group. Its motto, Networking Today for a Successful Tomorrow, encompasses the organization’s goal to help people of African descent and other diversity constituents to maximize their contribution to Ford Motor Company. The 33rd Annual Black History Month celebration will be hosted by Sherri Shepherd, daytime Emmy Award winner and co-host of “The View,” at the Dearborn Inn. In addition to Gates speaking, the celebration will honor pioneers in the Ford dealership industry, as well as current African American Ford dealers. “Every year we gather as a company to celebrate Black History Month while also recognizing various African Americans on both a national and local scale,” said Bennie Fowler, group vice president, global quality at Ford and FAAN president. “Last year we partnered with syndicated columnist and author Roland Martin, and this year we are pleased to be able to join forces with Dr. Gates. The awards ceremony and program will kick off at 6 p.m., following the VIP reception from 4:45 to 5:45 p.m. The night ends with an afterglow, including strolling buffet and reception, from 7:30 p.m. to midnight. Tickets can be purchased online at http://fordfaan2014bhm.eventbrite.com/. General admission tickets can be purchased for $50, with VIP admission costing $125. This year’s attendees will also be able to win tickets to attend the 20th ESSENCE Festival, which takes place in New Orleans July 4 weekend. Past featured speakers include Steve Harvey, media mogul and host of Family Feud and the Steve Harvey Morning Show; legendary songwriter and Motown great Smokey Robinson; former president and CEO of the King Center, Martin Luther King III; political analyst Donna Brazile; broadcast journalist Soledad O’Brien; and many other legendary African Americans. The event, attended by more than 500 Ford colleagues, business partners and community leaders, also recognizes civil rights warriors and key community leaders for their contributions to the quality of life nationally and in metropolitan Detroit. Ford Motor Company , a global automotive industry leader based in Dearborn, Mich., manufactures or distributes automobiles across six continents. With about 181,000 employees and 65 plants worldwide, the company’s automotive brands include Ford and Lincoln. The company provides financial services through Ford Motor Credit Company. For more information regarding Ford and its products worldwide, please visit http://corporate.ford.com .